According to the American Cancer Society, “Substances and exposures that may lead to cancer are termed as Carcinogens”. They range from chemical substances and ultraviolet radiation to infectious agents and tobacco. While carcinogens have the potential to cause cancer, they do not always result in cancer. Development of cancer is an interplay of many factors and contribution of a particular carcinogen depends on its level, as well as the length of exposure. Contrary to a naive belief that everything edible is ‘natural’ and ‘safe’, some of our daily foods may be a potential source of carcinogens, and these often occur naturally in foods, not necessarily after processing or packaging. 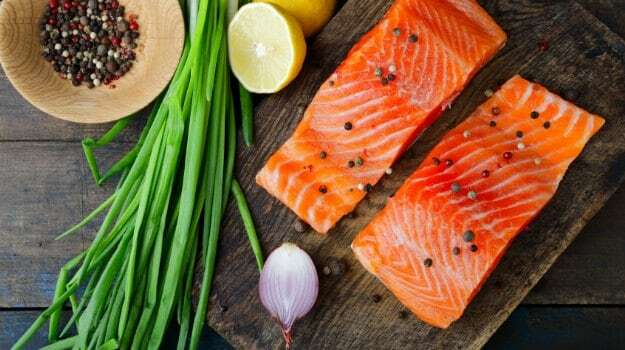 We bring you some foods and food components that have been labelled as ‘known human carcinogens’ by the International Agency for Research on Cancer (IARC) (part of WHO) and the National Toxicology Programme (a collaboration of the US NIH, CDC, FDA) after evaluation of years of scientific research and studies. 1. Aflatoxins – Fungi of the Aspergillus genus, especially A. flavus produce these poisonous chemicals. Most commonly, aflatoxins may be detected in corn, peanut and cottonseed. They can affect cerebral function, leading to death and may contribute to the development of cancers of the liver. 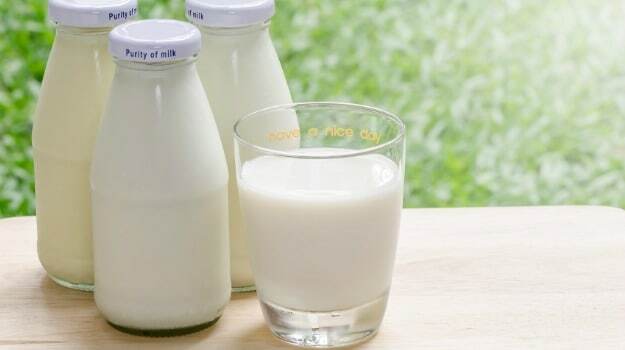 Not only is direct consumption a major risk, animals feeding on aflatoxin contaminated foods can produce animal food products (such as milk) that contain aflatoxins, while the toxins can also be transmitted to breastfeeding infants by mothers consuming contaminated foodstuffs. 2. Acetaldehyde – Alcohol consumed is metabolized by liver enzymes and converted into a number of products, including acetaldehyde. This compound has been evaluated as having a major role in the development of cancers of the upper digestive tract. 3. Areca Nut (Supari) and ‘Paan’ (Betel Quid) – Well, here’s a shocker, it’s not just the paanswith tobacco or ‘gutka’ in them that may contribute to oral cancers, the ones without tobacco, but containing the infamous ‘supari’ (Areca nut) have also been labelled as carcinogenic by a number of International agencies. 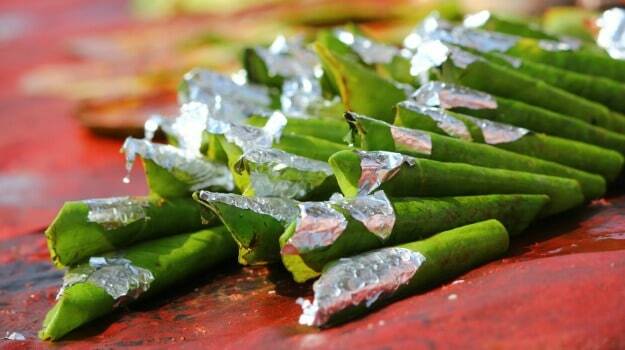 Even chewing supari or the betel leafalone, may expose you to risk of developing oropharyngeal cancers. 4. Liver flukes – The larvae of these worms (Clonorchis sinensis, the Chinese liver fluke, and Opisthorcis viverrini, the Southeast Asian liver fluke) are found in freshwater fish and infect humans when they consume undercooked or raw fish. These parasites mostly occur in the Asian regions, especially China, Japan, Korea, Thailand, Taiwan, Vietnam, and the Asian part of Russia. Eating lightly salted, smoked, pickled, marinated, dried or poorly processed fish may also lead to infection with these organisms. Consumption of meat from carnivorous animals that consume raw fish may also transmit the infection to humans indirectly. Infection with these worms may lead to the development of bile duct cancers in humans. 5. Processed meat – Hot dogs, ham, bacon, sausage are among some meats produced by various processes such as salting, curing, fermentation, smoking. 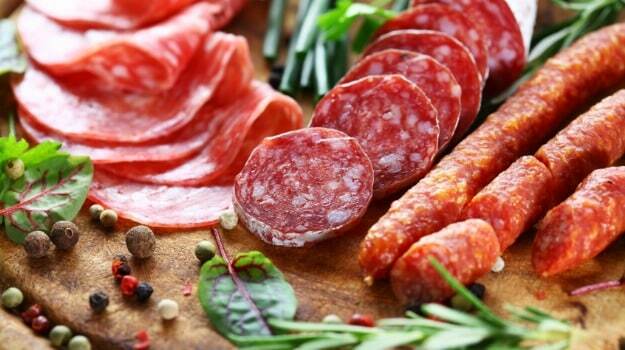 A greater incidence of bowel cancer has been observed in those having a regular consumption of processed meat. While most Indians do not consume a large amount of meat or do so regularly, it’s best to cut down on the pepperoni and salami, and replace these with healthier lean meats such as chicken, turkey and fish.